The 80s kids who used to enjoy their Sundays by watching Doordarshan will definitely remember the first ever Indian animated series Ghayab Aya. Before Ghayab Aya there were other cartoon shows aired on TV but it was the first show that was completely made in India. It was an animated series that made in 10 total parts. The animator Mr. Suddhasattwa Basu was the creator and maker of this kids’ show which is based on a cute small invisible ghost. It was started in the year 1990 and aired on Doordarshan in 10 episodes. Ghayab Aya used to air on Sunday mornings when all the kids’ shows and cartoon series used to come on TV. Born in a small town in West Bengal, animator and illustrator Mr. Suddhasattwa Basu was the creator of this television series. Basu has started working as a designer and illustrator once he completed his art college from Kolkata. He started his career with a magazine designed for children only. After working with several renowned personalities like Khushwant Singh and others, he has started writing children’s books as well. He received several literature awards for his creations. In the year 1989 he created Ghayab Aya, the first native animation In India for the children. The show was designed, animated and directed by Basu only. Suddhasattwa basu may not be renowned at that point of time as there were very less exposure for the people behind the curtains. But his creations got always recognised by the people. Like mentioned he did receive the Chitrakatha award for his book ‘The Song of Scarecrow’ that was published in 2002. His other works like Khushwant Singh’s Nature Watch, Biennial of Illustration, Slovakia, The Story of Garuda and much more had got same recognition and made him more popular in animation industry. Ghayab Aya was his first television series and it was the first Indian made animation where no foreign technology or man power was used. This is the reason why the show, the character and the very popular peppy song of the show is still famous and remembered by the Indian. 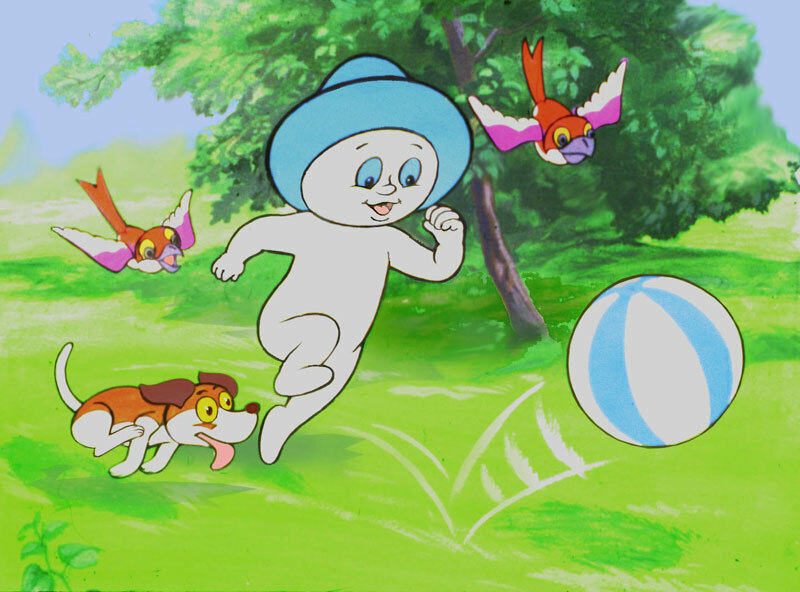 Ghayab Aya was based on a ghost that looks like Casper. The ghost wears a turban and keeps fanning him-self with leafs. The ghost namely Ghayab used to help good people and save them from the evil around them. The show came with 10 episodes that contained 10 different stories. In one of the episodes for instance it showed that a little girl took part in a car race but some evil people played tricks on her to win the race. At that moment Ghayab appeared and helped the girl to win the race and save her from the evil / bad people. The episodes and the title song of the show are now available on YouTube. There were other miscellaneous characters we could find in the show apart from the leading ghost. The ghost was invisible and could only show up to good people who seek help from him. He used to play, sing, dance and do a lot of stuff that never failed to amuse the kids as well as adults. The show was created in India and no foreign helping hand was involved in making this show. The show Ghayab Aya was a mini serial, aired only 10 episodes. The character Ghayab, the invisible ghost was inspired by the 1930s ghost animation Casper. Ghayab looks almost like Casper but with turban and a fan made of leaf. Ghayab Aya was made for the kids. It was funny, clean and entertaining cartoon series loved by everyone. Whenever we hear the word ghost we feel it has to be scary. But Ghayab was not that ghost who scares you rather he was someone who would help you in your bad times. Ghayab was more of an angel than a typical ghost. Kids are sensitive, when they watch anything, they start visualise them and also start considering themselves a major part of that particular event. Watching a cartoon character and behaving like it is quite a common incident even today when kids name themselves as spider man, superman and Chhota Bheem. The show was made to make kids realise that if you do good you will get good results. But if you take evil path in life you can never win. Another thing about the show that made it relevant today that we all have a guardian angel in our life, who help us in our bad times. The series and the character showed us that there is always someone, an angel, who helps us in our tough times if we do something with good intention.